Officials from the sheriff of the High Court in Pretoria are in the process of attaching assets at five properties belonging to controversial Zuma-linked Taiwanese businessman and ANC benefactor Jen-Chih "Robert" Huang and his wife, Shou Fang. This as the South African Revenue Service (SARS) attempts to recover R236m, a portion of a long-outstanding debt to the taxman, reportedly running into the billions. Huang was once a business partner of former president Jacob Zuma's nephew, Khulubuse Zuma, and has been embroiled in a fight with SARS over outstanding debts since 2012. SARS obtained two summary judgments against the Huangs in the High Court in Pretoria on Thursday, resulting in two writs of execution authorising the sheriff to seize movable assets at five properties, four of which are situated inside the upmarket Woodhill Golf Estate in Pretoria. The judgments are only for personal income tax owed by the Huangs. 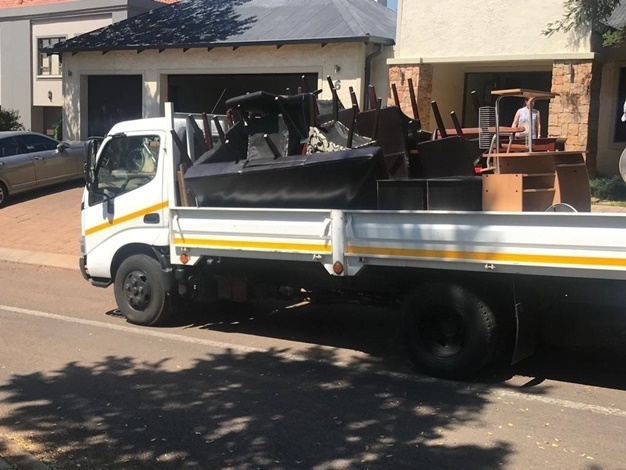 On Friday morning, News24 observed officials from the office of the sheriff and SARS outside one of the homes inside the estate. Furniture and one dishwasher were carried out of the premises and loaded onto a truck. It is understood the house was almost entirely empty and that no electronics were seized. One Mercedes-Benz GL350 SUV was observed in the garage of the home, and it is understood this will also be seized. News24 understands that officials expected more vehicles to be at the home. Officials from the office of the sheriff and SARS at the scene declined to comment. SARS first obtained a provisional preservation order against the Huangs and Mpisi Trading on June 12, 2014. In court papers SARS alleged that "Mr Huang and/or Mpisi have used and continued to use various entities effectively controlled by Mr Huang ... as conduits to evade Mpisi's tax liability and to 'export' large amounts of money which should have been declared, as taxable income". November 2013 – SARS initiates a tax inquiry. By early 2018, SARS' assessments showed that Huang, his wife and Mpisi Trading owed taxes amounting to more than R420m. SARS also discovered four companies referred to as the Razi entities, which owe SARS a further R540m, Fin24 reported in February 2015. In the run-up to the May 2014 elections, Jacques Pauw revealed in his bestseller, The President's Keepers, that SARS had seized a shipment of ANC T-shirts imported by Huang and Mpisi, branded with a picture of former president Jacob Zuma, worth R118m. Then deputy commissioner Ivan Pillay stood firm and the ANC was forced to pay R41m import duties before SARS would release the shipment.